Wisconsinites know better. Winter can be harsh, a season to be endured, but it also can have its moments of joy and fun. Since the late nineteenth century, photographers throughout the state have captured how residents have both survived and thrived through Wisconsin’s quintessential season. 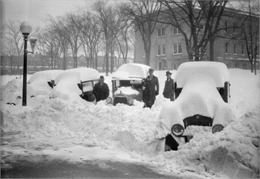 The Wisconsin Historical Society has a large collection of Wisconsin winter photographs and this gallery (link below) features the best and most interesting images, most from the hundred years between 1880 and 1980. The Wisconsin winter landscape can be full of idyllic scenes that have been a favorite subject of photographers for decades, so images of quiet, pastoral settings are included, along with those of towns blanketed by peaceful coverings of snow. Yet Wisconsin winters can also be brutal and challenging. Major snowstorms have engulfed the state in 2-4’ of snow with drifts up to 20’ and ice storms have encapsulated Wisconsin landscapes into frozen and dangerous wonderlands. Photographs showing the consequences of these storms can be found in this gallery. Some of the images depict how Wisconsinites have endured and survived these winters. A few show the hard work required to remove snow from the railroads, streets, and sidewalks. 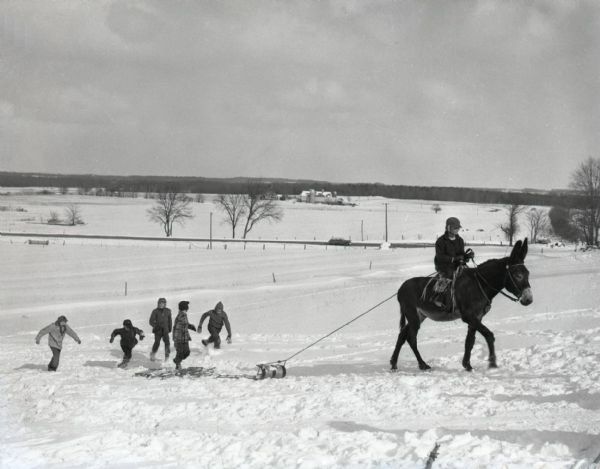 Others illustrate the difficulty and dangers of travelling through the snow by foot, horse, car or train. Many of them also convey how Wisconsinites dressed for winter weather over the decades. Other photographs show Wisconsin residents embracing and thriving through winter. 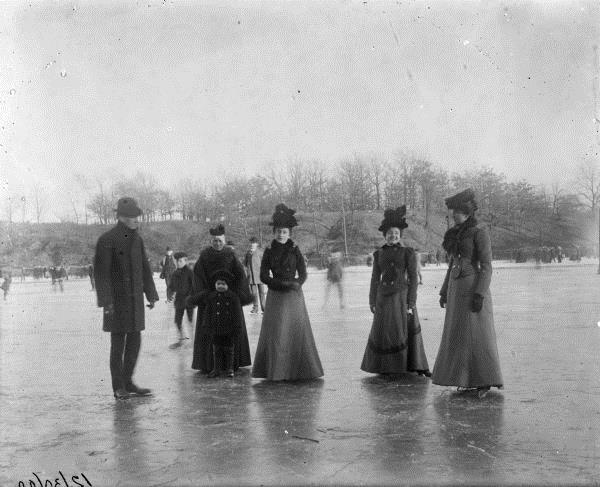 Enjoying the recreational possibilities of the season has been a long-standing tradition for Wisconsinites. Images of them enjoying ice skating, sleighing, skiing, sledding and tobogganing are included. 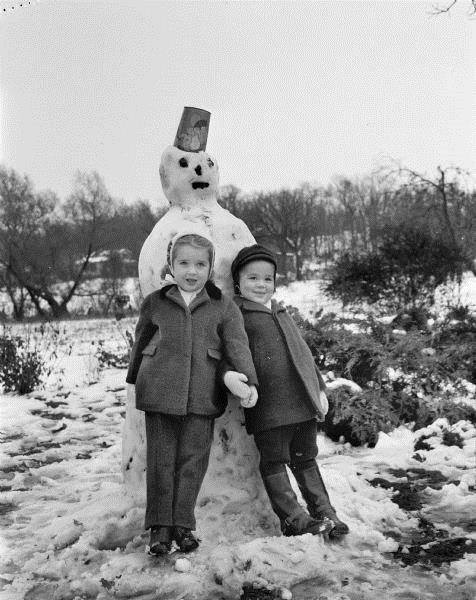 A handful of photos also show the joy of just playing in and with snow, whether building snowmen and snow forts or having snowball fights. Wisconsinites pride themselves on their ability to endure and embrace the winter season. This gallery captures this pride on film.